Don’t we love to see celebs sporting gorgeous Perfect UPDO at glitzy award functions and parties? This is a classic and timeless hairstyle that is a great choice for any occasion. A common misconception is you have to spend loads of money to get sophisticated updos, but it is assuredly not so. There are helpful guides and videos online that allow you to try out exciting hairdos from the privacy of your home. Which style is best suited for Perfect UPDO? Before getting started, please find out what style will work best with your hair type and length. The Perfect UPDO should compliment your face, or else the entire effort is wasted. Nothing spells faux pas than a badly done hairdo! For example, does your face look best with your hair completely pulled back or accented with some tendrils cascading along your jaw line? Do you intend to have it twisted up or in curls? This aspect is very important! Wash your hair 24 hours before you want to try the Perfect hair is best styled when it is slightly dirty. Add product after washing. Using mousse or gel helps to prep your hair for the updo and keeps it in place. Blend the product through the hair with a comb and dry. Before your hair is totally dry, know where you want it parted for the updo and get it done. If your hair is straight, it is advisable to blow dry the hair with your head tipped upside down for more bounce and volume. For those with curly or wavy tresses, allow your hair to air dry or blow dry with a diff user to preserve your curl. Add product to ensure your curls or waves look stylish, instead of becoming frizzy. Once you are done selecting the updo, stock up on bobby pins, clips, and rubber bands. You can use small pony tail holders to keep the hair place, while decorative pins are available as well. Use a professional hair spray after the updo is complete. For best results, conduct a trial some weeks before the main event or occasion (when you plan to sport the updo). 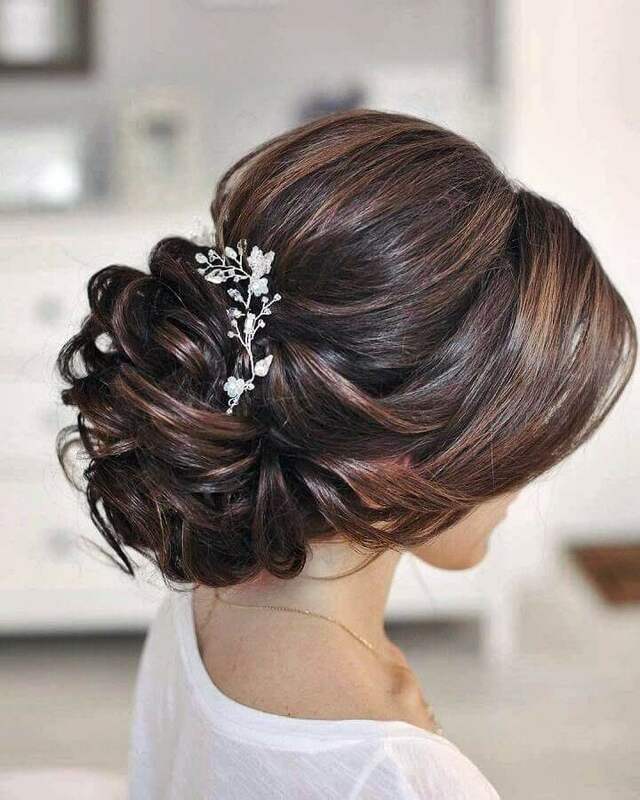 It gives you a clear insight about the suitability of the hairstyle – you will know exactly how it looks, so there won’t be any problems on the final day. If you don’t like the way it looks, you can make changes accordingly.